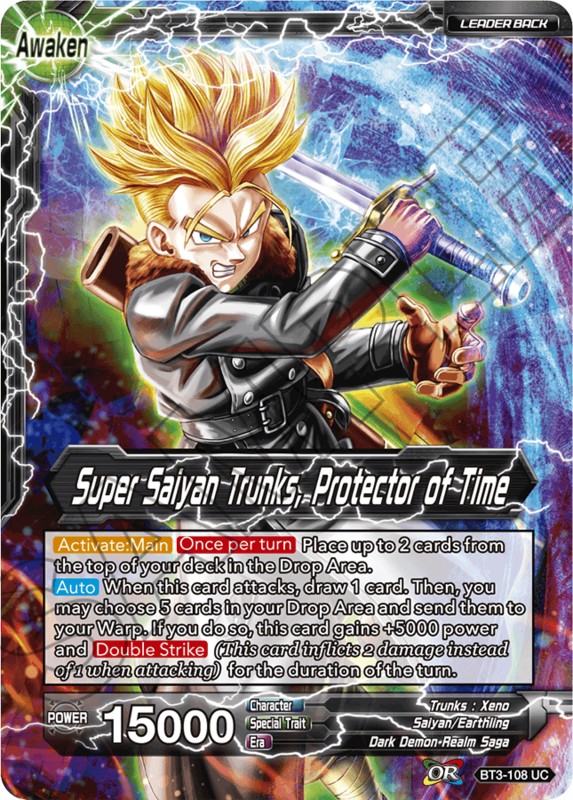 Thank you for your continuous support of Dragon Ball Super Card Game. Series 3　CROSS WORLDS will be in stores March 9th. We have developed even more awesome cards for CROSS WORLD, so we would like to introduce some of our ideas behind the game designs of the set. The main theme of CROSS WORLDS is diverse deck construction. 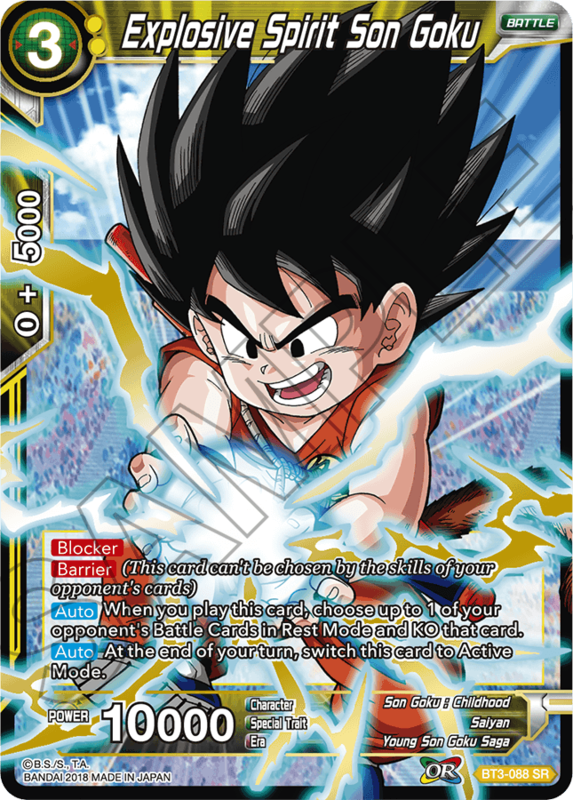 Dragon Ball Super Card Game is still a young game. 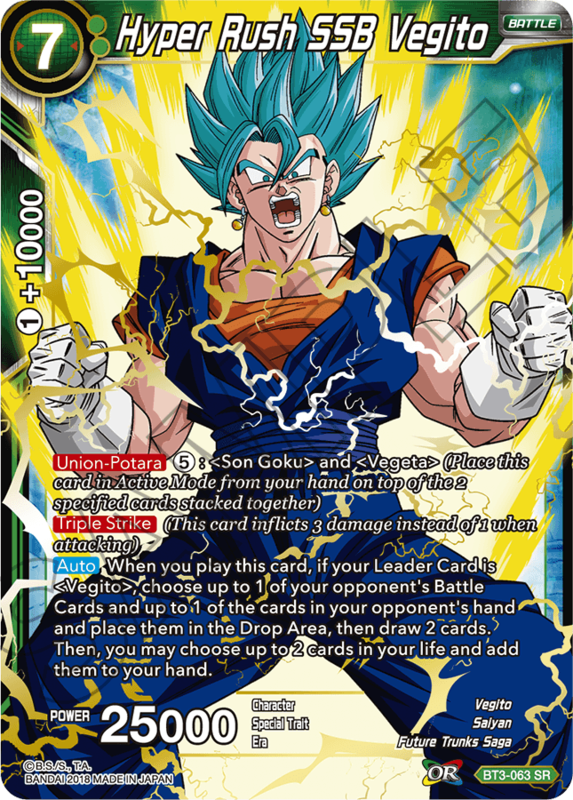 Thus the card pool is shallow and there are various cards in each color that are more or less auto-adds to any deck of that color. CROSS WORLDS counters this issue and allows more diverse deck construction with the 2 features below. The most essential thing for more diversity in deck construction is increasing the card pool. In order to do that, we have decided to add black, a new color that requires no specified cost and can be included in decks of any color. For example, there are 30 red cards and 16 black cards introduced in CROSS WORLDS. As each color has more cards to work with, players can try out all kinds of builds even for the same deck archetypes. Black’s most significant feature is the [Over Realm] skill (incidentally also the name of the block) was designed to diversify deck construction. 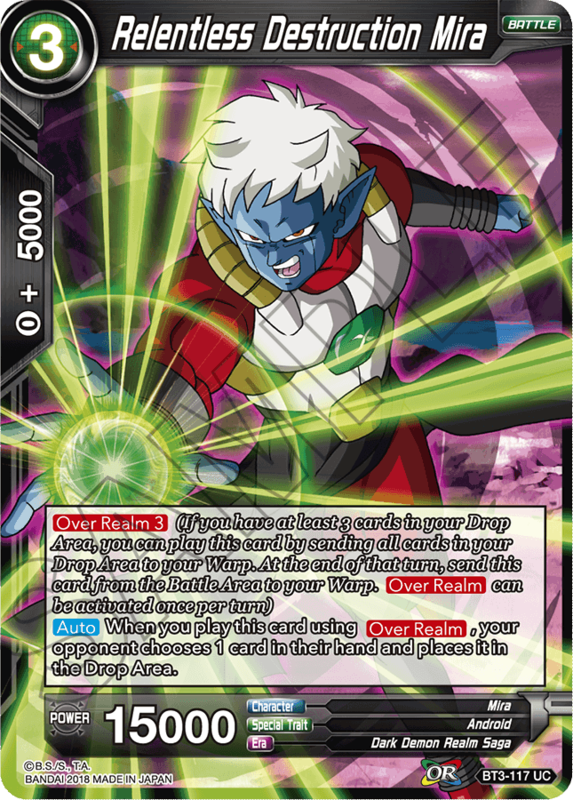 The same types of deck can end up completely different by whether or not they use [Over Realm] cards and which [Over Realm] cards they do choose to use. 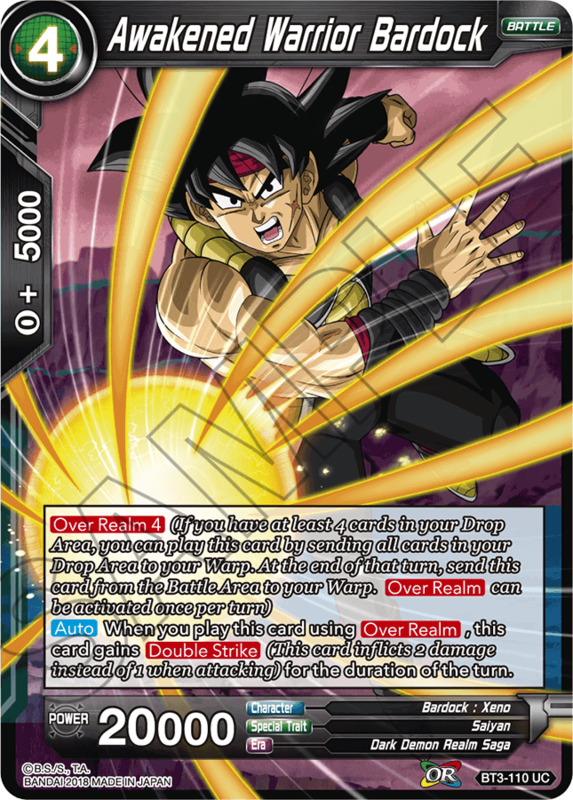 [Over Realm] requires no or close to no energy to activate, and will not interfere with the main strategy of a deck. With the wide selection of [Over Realm] cards in CROSS WORLDS, players will surely be able to find a card perfect for their deck. Of course players can also choose to build a deck that focuses on black cards. 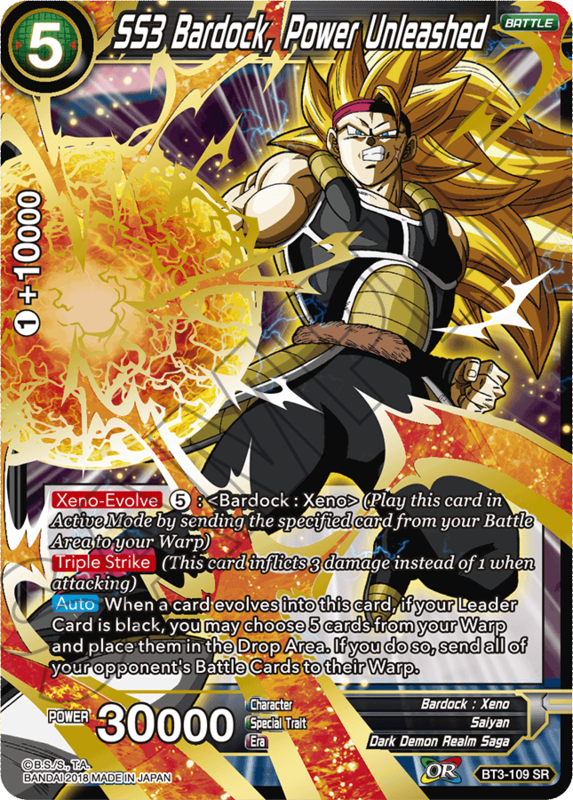 The first black leaders to be included in CROSS WORLDS and THE DARK INVASION [DBS-SD03] all have skills that add cards to the Drop Area. With these cards, players will have no trouble activating [Over Realm] skills. In addition, black also boasts super-powerful cards that can be played with [Xeno-Evolve], an all-new skill that features strong synergy with [Over Realm]. However, a black deck cannot be constructed solely of black cards… players will always need to add a second color. So there are at least 4 kinds of builds for a black deck. We hope players can enjoy building their own unique black deck. 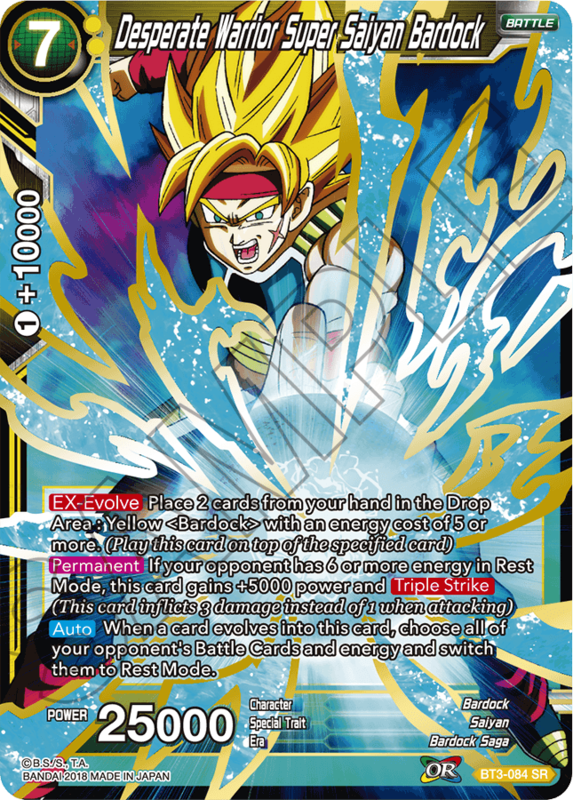 CROSS WORLDS will introduce more decks that can utilize all 4 base colors, such as a red GT deck (Saiyan & Machine Mutant), blue Majin Buu deck, green Android 13 deck, and a yellow Great Ape deck. 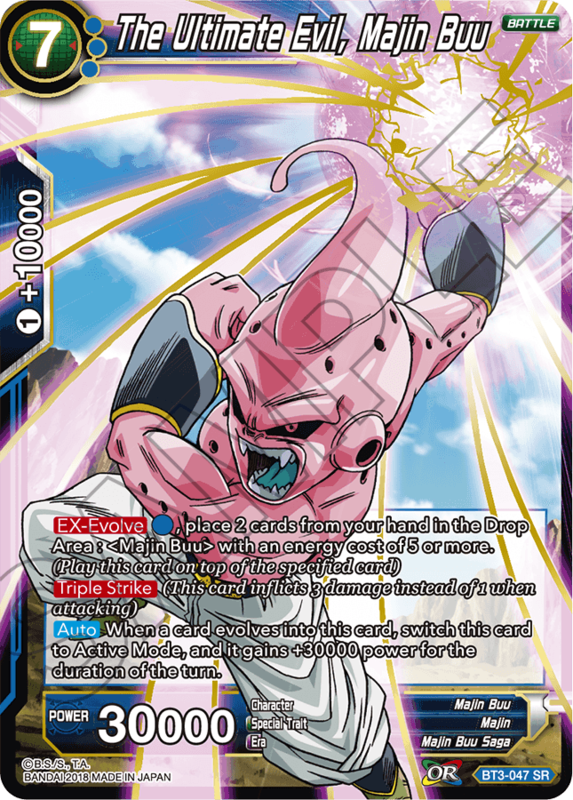 All these decks (Except for the Android 13 deck) feature a [EX-Evolve] card as their endgame. The concept of [Evolve] cards were to evolve low-cost cards into big cards, but [EX-Evolve] takes it a step further and evolves big cards into gigantic game-changers! 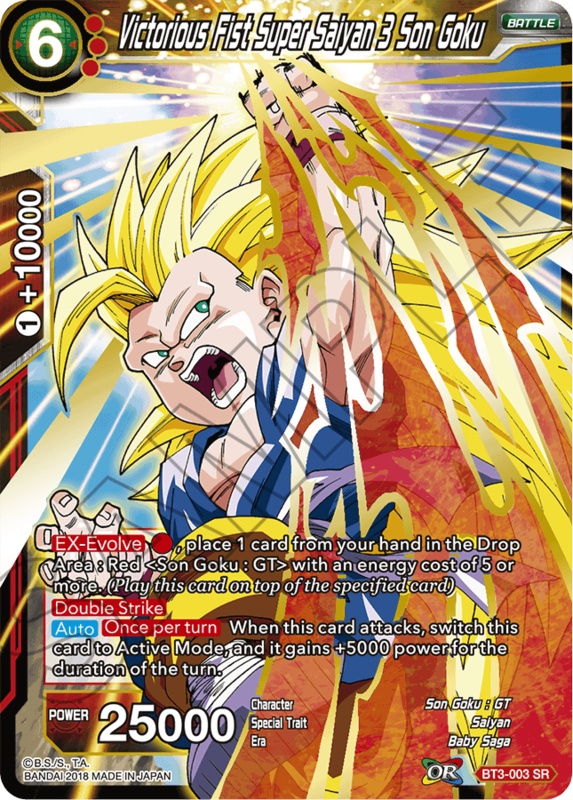 These new cards will surely present unprecedented levels of excitement in games. *Android decks will continue to focus on [Union] skills. Cross Worlds will also include cards for [Union] based strategies. Introducing new archetypes has been a theme since Series 2 Union Force, but CROSS WORLDS will also support existing decks. From here on, we plan to continue including cards which enhance existing decks, so players can keep on playing the game with the same deck. We recommend players to use the old cards not just to build new decks, but to tool around with existing ones as well. We would also like to remind players that series 3 and 4 compose the Over Realm block. 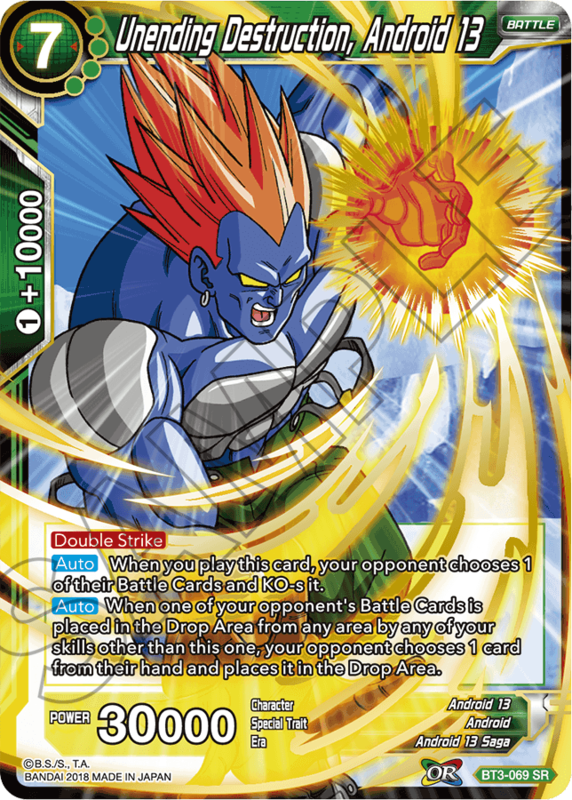 The term “block” is being used to indicate that these 2 sets share the same theme, and can be used to specify cards and sets (especially in the future, when there are more sets and cards). We currently have no intention to use the “block” for set rotation. We are already working on series 5, and are designing various mechanics that will surely blow players away! 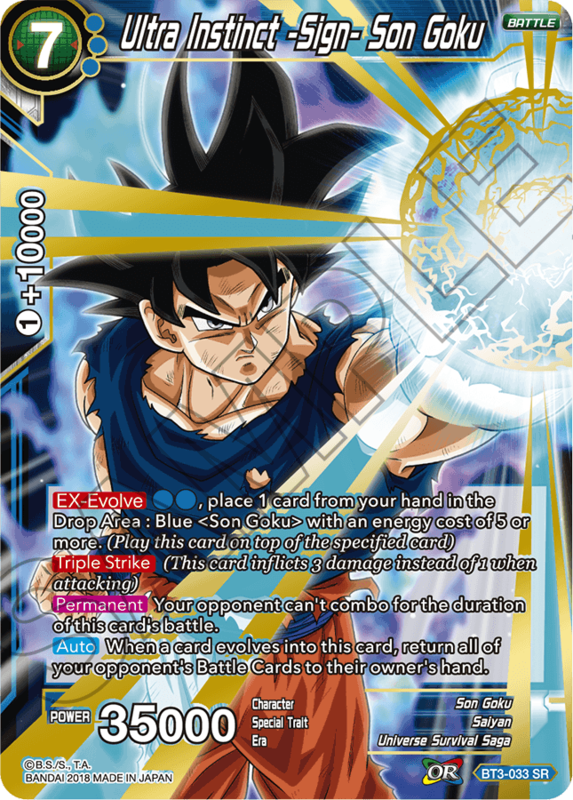 We plan to continue developing all kinds of cards that will excite both Dragon Ball fans and card game fans alike! 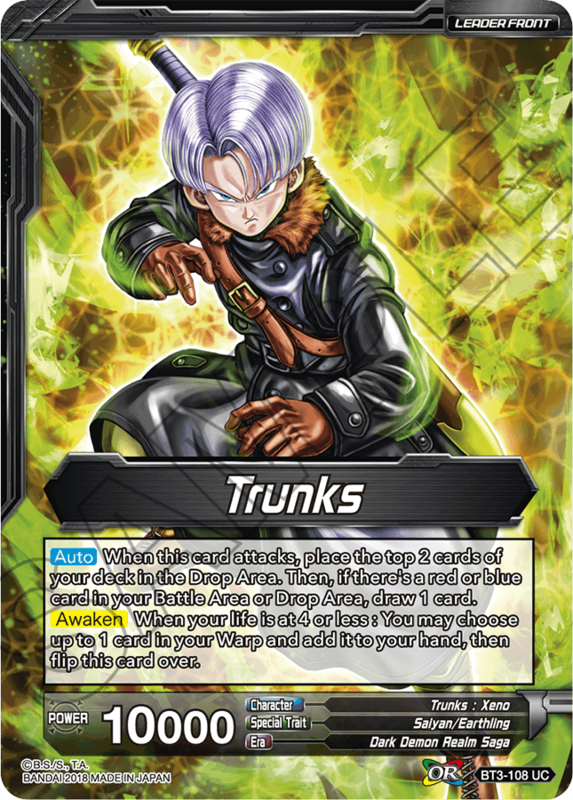 Thank you for all your support, and please look forward to the future of Dragon Ball Super Card Game!